How hard is it to review a scale you might ask? Actually, these days it is harder than you might think. I was once sent a scale which had an app for you to sync your phone with the scale to track your weight changes. I refused to install the app as it required way too many permissions. You don't need to record from the microphone when weighing yourself. 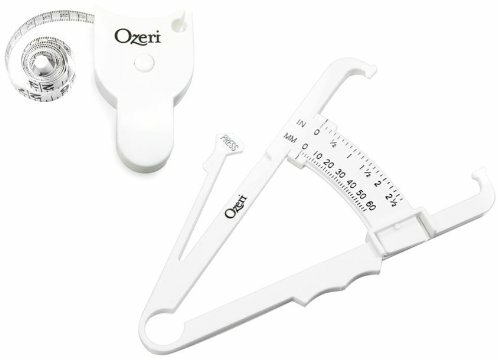 Back to the Ozeri scale. 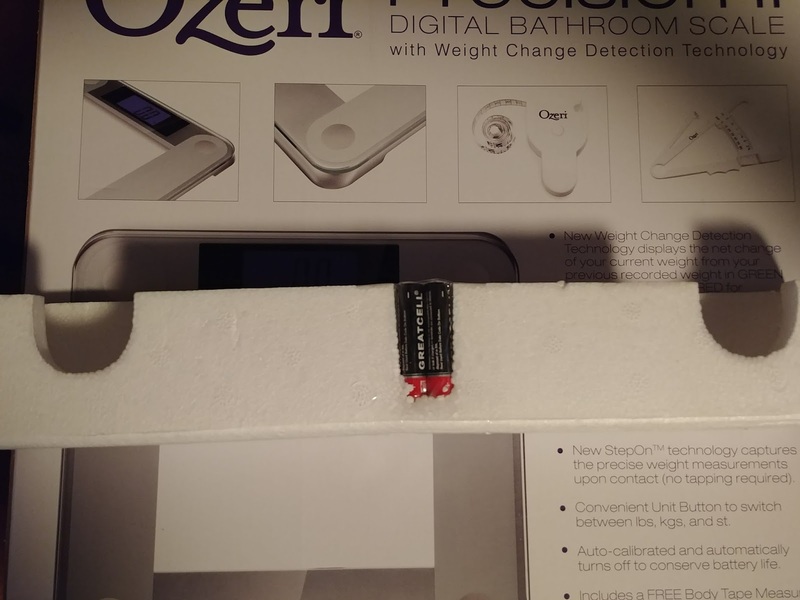 The scale functions as a typical digital bathroom scale. We have one of those already, why might we change? Bigger display. We're all getting older. If you're having trouble reading the display, the display on this is larger than most digital scales I've seen. The digits are 1¼" tall. It comes with StepOn technology, which means you don't have to tap the scale to wake it up before getting on the scale. It has weight change detection technology. 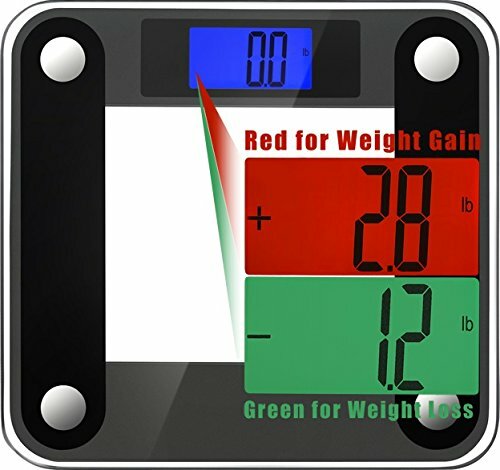 After weighing yourself, the display will show the difference from the last time you used the scale, green for weight loss and red for gains. 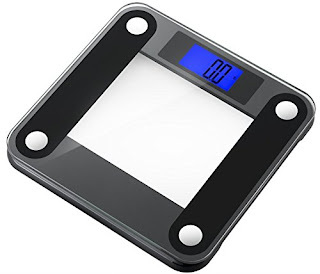 The weight change technology is a great feature of the scale, with one exception. What if multiple people share the scale? This indirectly tells you the weight of the other person if you wait to see how much your weight changed. What does "nocn" stand for? I guess "no change" but when I first saw that I started to wonder if the top of the lowercase h was missing on the last letter. As the scale is digital, it comes auto-calibrated. You don't need to adjust it like you did an older scale that relied on springs which wore out over time to give you a bad weight eventually when things stretched too much. I had a slight issue here, or at least I wasn't sure of a few things. First, if you see the red/green images above, that was for picking up and putting down the second box for the scale. It didn't always increase / decrease by the same amount when the difference should have been the same. Secondly, I weighed myself on our old scale and this new one. It was consistently different by two tenths of a pound (.2). I don't know which scale is actually correct, but they were different. I preferred the one that is lower but it still was different. Short of getting a third scale and going with the weight that was the same on two of them... I just can't say which was right. The scale goes up to 440 pounds / 200 kilograms. I personally don't need a scale that goes that high, however, the extra space is available. The scale is on the wider side, too, and can give your weight in stones even, if you happen to be in Australia, Great Britain, or Ireland and use the unit of measurement. As a point of comparison 11 stone 4 (11 stone - 4 pounds) equals approximately 72 kilograms or 158 pounds. In addition to the scale, you also get a tape measure and body fat caliper. If you've never used a caliper, there are some videos on YouTube you can watch to learn how to use properly. The scale runs on two AAA batteries. Thankfully, these come with the scale. I can't say how long these will last. I do have to say they took me a little while to find them. They were buried in the Styrofoam that protected the scale. I thought they would have been included with the caliper and tape measure. The batteries go in a door on the base of the scale. It is protected by this cover with a small tip you press in to help open the cover. 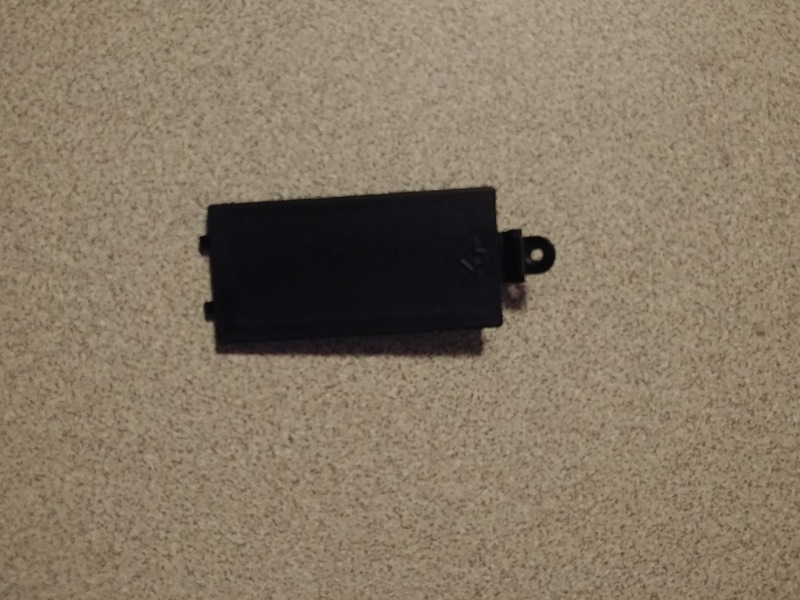 This snapped off on the first usage. Oops. If I ever need to change the batteries, I might need a screwdriver to pry the cover open. Overall, I like the scale, you just kinda need his and hers ones. Given our current digital bathroom scale, the new features of this one wouldn't encourage me to upgrade. However, if you have an older spring based one, this is a definite improvement. Now onto the giveaway. If you want to win your own Ozeri Precision II digital bathroom scale... here's your chance. US residents have through 11:59pm EST on 2/15/18 to enter. See Giveaway Rules for additional rule details. 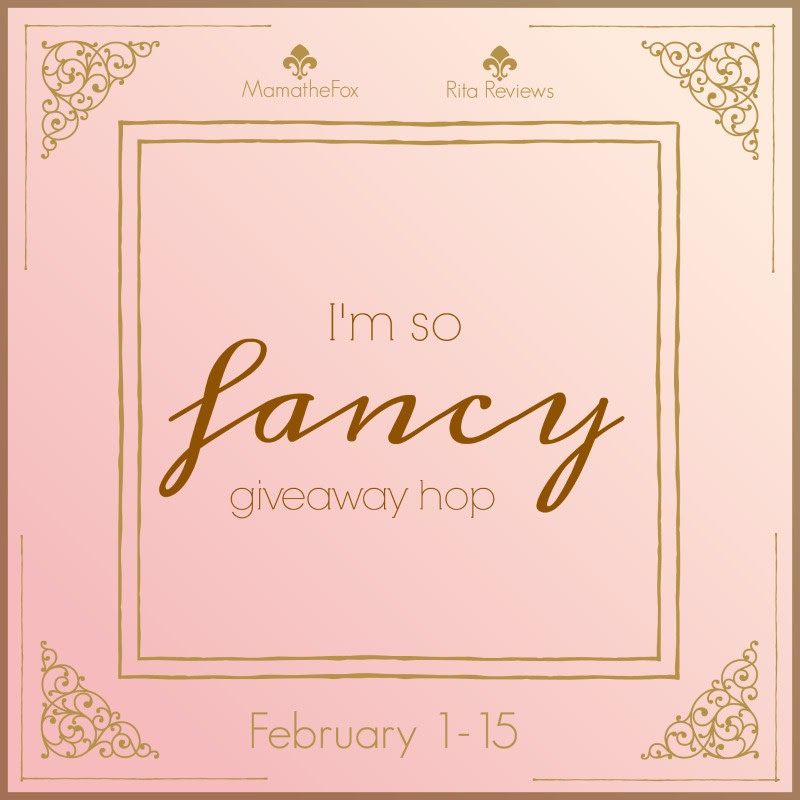 Don't forget, this giveaway is just one in the larger I'm So Fancy Giveaway Hop. Please visit our fellow bloggers and see what else you can win. 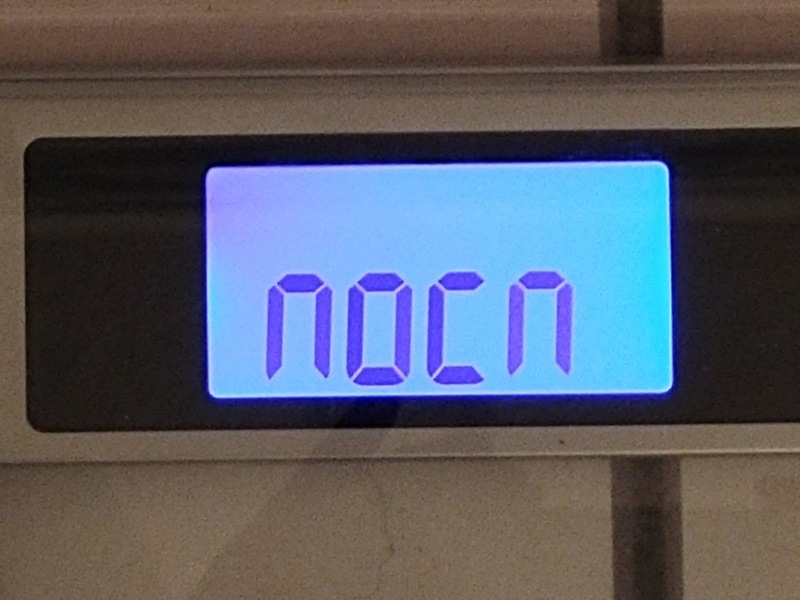 I love that it shows you your weight from last time as well. I like the big display! I absolutely love the bigger display. I have awful vision so I can't see my scale. I love the bigger display screen! I like that it lets you know if you gained or lost. I like that it shows the gain or loss. I like that it shows you if you have gained or lost weight. I like that it has weight change detection technology. After weighing yourself, the display will show the difference from the last time you used the scale, green for weight loss and red for gains. I like the big display that this has. 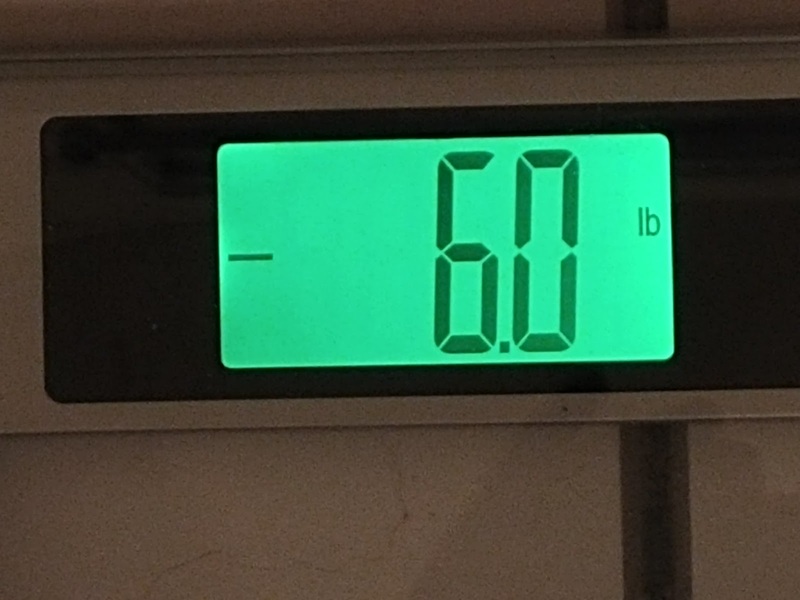 My favorite feature is the screen colors that change depending on the difference in your weight from the last time you weighed yourself. Like the big display screen. The colored weight loss and gain feature is incredibly unique! 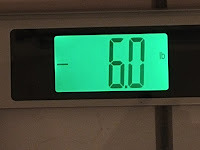 I like that the scale displays the change in your weight. I love the loss and gain feature. This would help me on my weight loss journey. I love that it shows green for loss and red for gain! I like that it will display and show the difference from the last time you used the scale, green for weight loss and red for gains. I like the weight change technology. We used to have a scale that did that and it was able to tell who was on the scale, so it could store multiple peoples weights. This one may be the same! I love that this scale is auto calibrated! I like the larger numbers. I have to put my glasses on to see my scale and with the larger numbers, I wouldn't have to! Our scale is not working great, so I would love a new one. I like that the display on this is larger. I like that it keeps track of previous weight and tells you what you have lost or hopefully not gained. I like the feature that shows you red for weight gain and green for weight loss. i love the colours. red for gain etc. I like the bigger display. The weight change technology with the green for weight loss sonce the last time you got on scale would be a great way for me to know I am on track with my 2018 gooals. Since I want to avoid seeing the red that would be weight gain this might keep me focused and eat healthy. I like the green for weight loss and red for gains. I really like the Bigger display makes it so much easier to read. I like that you don't have to tap the scale to wake it up before getting on. 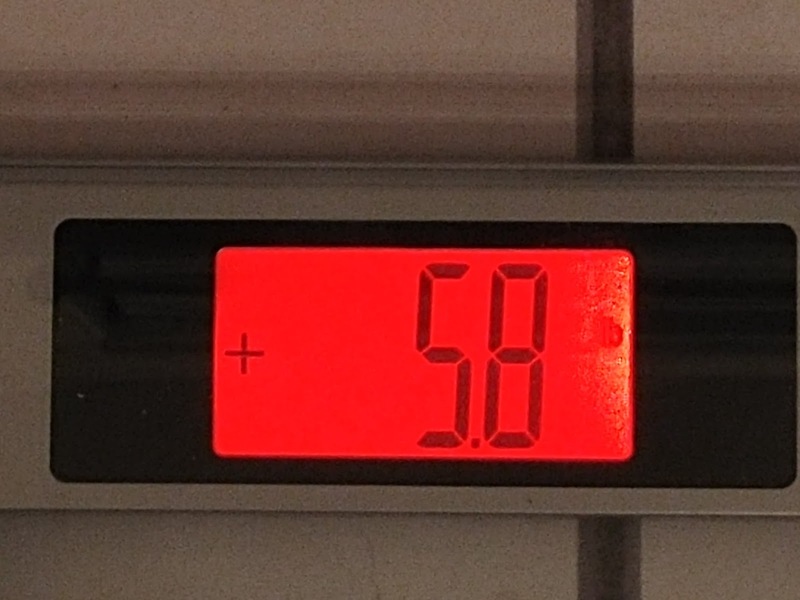 I like that after weighing yourself, the display will show the difference from the last time you used the scale, green for weight loss and red for gains. I like that it's user friendly and easy to read. I love the display. Numbers are large enough to see from a distance. I like the large display. I like the big lit up display. The large numbers would be good and I like that it is a wider scale. I like that it shows the difference in weight from the last time you used the scale. I like that the scale is digital & that it comes auto-calibrated! I'd rather not look at my numbers on a scale. Big displays! That's something these bifocal eyes appreciates! I like that it tells if you gained or lost weight. Looks like a nice scale! I love that it has a big display. Can't see without my darn glasses. I like the big display and the loss/gain feature. I love the big display and also that it goes up to 440lbs. My hubby is a big man! I love that it keeps track of your weight increase or decrease. That is pretty cool. It is another thing I don't have to keep track of! There are several features I really like about these scales. There is a setting that has weight change detection technology. 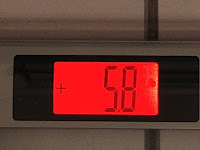 After weighing, the display will show any differences from last time you weighed, green for weight loss or red for gains. I like that it has weight change detection technology. The weight change is an awesome feature! I am very impressed with this scale. Among all the features I like that it will weigh up to 440 pounds. Easy to read....but will it tell the truth (so many scales tell me I weigh more than I want - lol! I like that it tells you if you lost or gained weight. Love the weight change detection. I like the big display. I love that it tells you if you lost or gained weight. I like that it shows if you gained or lost weight. i love that it will tell you if you gained or lost weight since the last time you stepped on it. I like that it has a bigger digital display. I like that the numbers are large and easy to read! The large display screen is the best feature. The colors are nice but it could get discouraging if all you saw was red! I like that it says if you have gained or lost. I like that it comes auto-calibrated so it should be accurate. That it can tell you weight gain and weight loss. I like that it gives you the weight changes. Not so sure if Ilike that they gain pops up in bright red--especially if my husband walks in lol. I love that the numbers are larger and brighter so they can be seen. I have a digital scale now but it's useless because I can't see the numbers. I love that it has a big display. I like the loss/gain notification. I like the color coded lose/gain display. I love the large display feature best! My last scale was really tough to read! 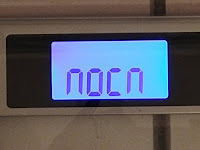 I like that it tells you the change since your last weight. I like how it shows if you lost weight. Not thrilled about it showing that you gained weight. The change in weight is really helpful and can provide motivation for change! I like the The weight change technology. There is a tape measure. I like that you don't have to tap it to wake it up which puts it one up on me. I love that it has a big display and that it tells you if you lost or gained weight. I love the weight change detection and it is very nice looking!!!! I like the lighted up feature so you can see it. Many features on this scale that I like. I love the big display and the light feature! Helps me see it better and well lit! Love the big display as well as the color codes for the display. I love the large numbers! I really like that you wouldn't have to re-calibrate it and it comes auto-calibrated. Mine definitely needs to get an adjustment! The weight change technology is my favorite feature. I like that it can keep track records on the wight going up or down, so you don't have to write it down. StepOn technology, which means you don't have to tap the scale to wake it up before getting on the scale. The bigger display is nice and I like it keeps records of your weight. Thanks! That's cool that it changes colors, based on if you gained or lost weight. The loss/gain display is my favorite! My favorite feature is that it is color displayed for easy recognition of what the results shows. I love the loss-gain display on it! coldest place in my house is my room.